We are a fourth generation custom home builder and remodeler. We pride ourselves for exquisite craftsmanship, experienced project management, and exceptional client service. We realize that building or renovating a home is one of the most significant investments a family will ever make - and we feel privileged to be entrusted with preserving that investment. You will find that Lorrien Homes is a dedicated partner, utilizing only the finest materials, the most advanced construction methods, and the most gifted artisans. We are entirely client focused - the owner of the company personally accompanies our clients through design meetings, architect meetings, the Shopping Day experience where all finish materials are selected, and provides daily updates during construction. We meet our construction timelines, we always come in on budget, and we always exceed our clients expectations. We love what we do and it shows in the finished product. Your home…it’s a refuge, a dwelling place, where the heart is and there’s no place like it. At least that’s how one would like it to be. Today in St. Louis, there’s an extraordinary new homebuilder who can help you find and define, the home you’ve always dreamed of. Introducing Boulevard Custom Homes… At Boulevard Custom Homes you will find our homes to be a beautiful blend of old-world charm and contemporary design, evidenced by extraordinary craftsmanship, attention to detail and amenities to fit today’s lifestyle. We believe that true style is timeless and quality never goes out of style. So, from the first time you open the door, you’ll find yourself stepping into a world of both ---- bright, open spaces with detailed charming appointments. Hand crafted millwork along with, stone, granite; ceramic tile and marble provide distinct touch points for a home that looks and feels inviting. From floor to ceiling…everything says…Welcome Home! Boulevard Custom Homes…Extraordinary Home Design…For Everyday Life! -Our Customers Are Our Priority- At Boulevard Custom Homes we pour our reputation into every foundation. We take safety seriously and maintain a commitment to building each home, as if we were building it for our own children. We have a proven track record and we know well what home buyers, today, need and want from new construction. Energy Efficient Construction Gourmet Kitchens and High End Appliances Fabulous Master Suites and Baths Expansive Living and Entertaining Space More Storage Space Less and Stress Free Maintenance Outdoor Entertaining Areas Breakthrough technology has brought safety and energy efficiency in homebuilding, to a whole new level. With Boulevard Custom Homes you can be assured that we maintain the highest standards of excellence for all of our constructions projects. -Our Style Is Our Signature- At Boulevard Custom Homes we don’t just build a house, we help build a lifestyle, and that is the cornerstone of our success. Our home designs are practical and functional with amenities that meet your needs today and for the future. Our beautiful exteriors are classic, timeless. Our contemporary spaces are perfect for growing families and entertaining. Our intricate details and rich finishes bring style to each and every room. We believe that Quality and Craftsmanship + Style and Function equals a Boulevard Custom Home that you’ll want to call your own. We are the leader in St. Louis in High Performance Luxury Homes. Many of our client's priorities include magnificent exteriors, custom millwork, luxurious master baths and fabulous kitchens. In addition, they have come to realize that lower utility bills, superior indoor air quality, consistent temperatures and overall comfort are a priority as well. Our expertise in this area gives you an edge in the marketplace, allowing you to get the most out of your investment by adding to the long-term value of your home. Feel free to reach out to us, we would love to hear from you! Bridgewater Communities is the premier luxury Villa homebuilder in Saint Louis, Missouri, with a reputation for quality construction, beautiful design and thoughtfully executed floor plans. We are the ONLY design/build homebuilder dedicated strictly to the luxury Villa market. Much attention is paid to width of hallways, size of door openings and wide-open spaces for comfortable Villa living. Bridgewater's professional team works diligently to assist in creating a Villa tailored to your needs and encourages changes that will enhance your daily living. Offering exceptional customer service and pride of workmanship, Bridgewater delivers their artistry for a luxury Villa lifestyle! Bridgewater—The Villa Experts! We are proud to have won Best of Houzz - Customer Service four years in a row! Awards - HBA Display of the Year 2016, 2015 Award HBA Best Specialty Niche Builder 2016 Best of Houzz 2017, 2016, 2015, 2014 - Service Recommended by Houzz Bridgewater Communities has served Saint Louis and Saint Charles, Missouri, for 14 years. We have over 35 years experience in residential home building. We have established strong relationships with suppliers and subcontractors that live up to our expectations and demand for quality. We are also a licensed Florida Builder. We concentrate on building a limited number of homes so we can give each project and customer the attention each deserve. We are personally on site overseeing the project. You will deal directly with the Builder. HomeSource has mastered the art of custom home building while saving the traditional builder’s mark-up so their clients get all the upgrades they deserve. We figured out what our clients really want in their new house plans and give them the control to get it. There’s a reason we’ve been awarded “Best Overall Floor Plan” and the prestigious “People’s Choice Award.” Our unique program teaches our clients how to cut out the middleman fees and save thousands building their new custom home. As a St. Louis home builder for over 30 years, hundreds of homeowners in Missouri and Illinois have used our “Build Custom For Less” program to build on their lot and you can too! We’ll build your home complete or to any stage with a 10 year warranty. MJ Burns Construction is a full service home remodeling and home construction company. That means we have the knowledge, skill and expertise to help with any project regardless of how big or small. 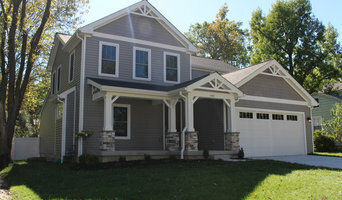 Since 1996, D & F Contracting, Inc. has been building quality homes in the Metro East area. D & F Contracting, Inc. is owned and operated by Junior Frentzel. We are a locally owned business that specializes in building custom homes that are suited to your needs. Our management team has the knowledge and expertise to handle both smaller and larger homes. We have over 88 years of combined building experience. Our staff has been with our company since the beginning. They are dedicated to building the highest quality home possible. There simply isn't anything like the overall satisfying feeling of pure comfort and security that comes with the purchase of a new home. Having your own home positively affects your day to day lifestyle while providing the perfect opportunity to express personal taste and individuality. When purchasing a new home, you are making a statement about who you are - something unique that you create to call your own. Buying a new home is more than just having a place to live. It's about building dreams and memories that will last a lifetime. 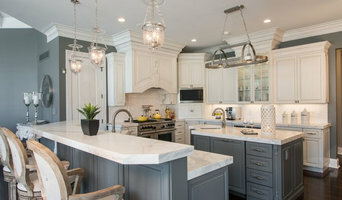 Our goal at D&F Contracting, Inc. is to offer a home plan to fit your lifestyle while incorporating the most current techniques, first class features and top of the line components into every home we build. Our mission has always been to achieve the highest customer satisfaction possible by providing the utmost degree of service in the custom home building industry. After all, we realize that building a new home is most likely the single largest investment that you will make. At D&F, we pride ourselves in our ability to meet and exceed our clients' expectations during and after the entire home building process. We have a vast portfolio of home plans for you to choose from, or feel free to tailor a custom plan to better accommodate your needs and tastes. Our team of professionals will work closely with you to assure that the custom home we build for you is everything that you dreamed it would be. We ensure that every home we build meets your goals in terms of your own personal style, outstanding architectural design, state-of-the-art features and that it all fits within your budget parameters. We look forward to being the builder of your next home! For Town and Country residential home builders who also act as developers, the job starts well before the first nail is driven. They perform local market research to determine whether the prospective homesites make sense in the Town and Country, MO market, as well as survey the land on which the house will be built to make sure it is suitable for construction. Custom builders also obtain the necessary permits. A good custom home builder in Town and Country, MO has skills that go far beyond construction — he or she must supervise subcontractors and artisans; keep tabs on local zoning regulations, building codes and other legalities; inspect work for problems along the way; and perform dozens of other roles that are essential in building a quality house. Here are some related professionals and vendors to complement the work of home builders: Interior Designers & Decorators, Landscape Architects & Landscape Designers, Architects & Building Designers, Kitchen & Bath Designers, Specialty Contractors. House builders are responsible for ensuring that the home-building project sticks as closely as possible to the specified timetable, particularly in the event of change orders. Custom and luxury home builders in Town and Country, MO also need interpersonal skills to deal with clients of all types, soothe frazzled nerves, negotiate conflicts and resolve problems. 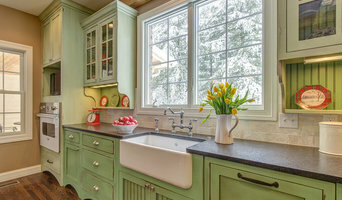 Find custom home builders in Town and Country, MO on Houzz. Narrow your search in the Professionals section of the website to Town and Country, MO home builders. You can also look through Town and Country, MO photos to find a house you like, then contact the builder who worked on it.